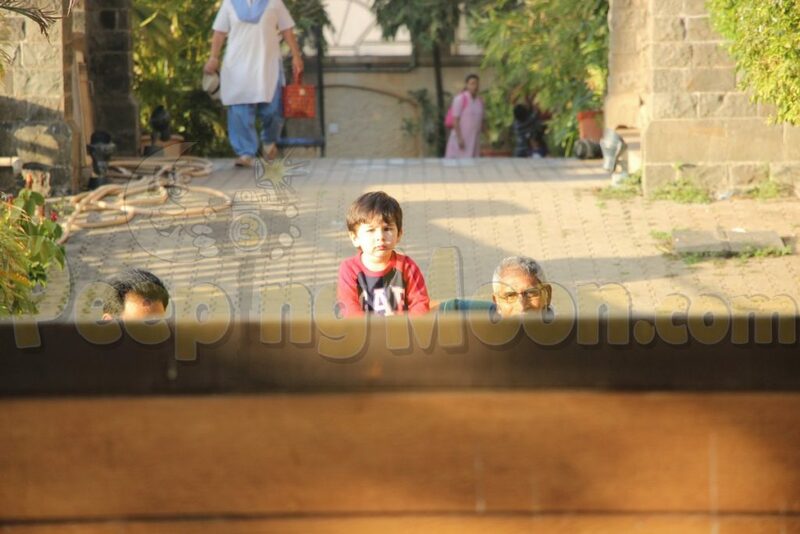 Taimur Ali Khan Pataudi aka Baby T is probably the busiest infant in the tinsel town right now. 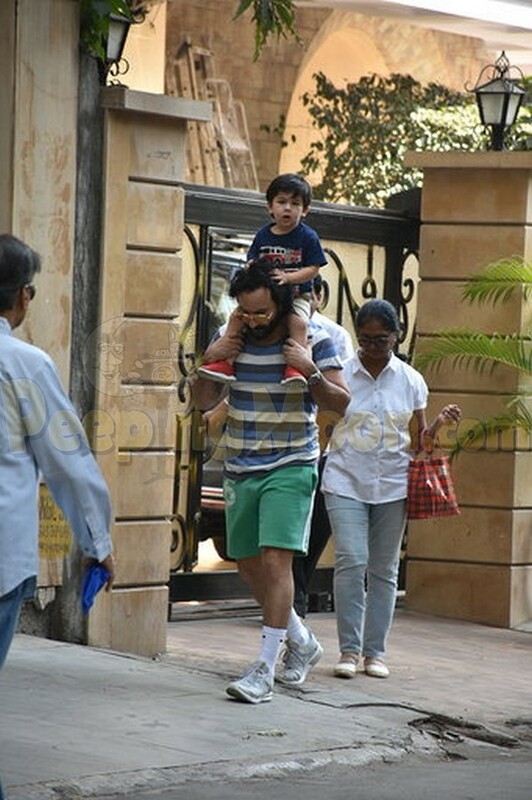 After enjoying a ride on the horse yesterday, Tim today was spotted in the city by our shutterbugs as he enjoyed an outing as papa Saif's piggy ride. 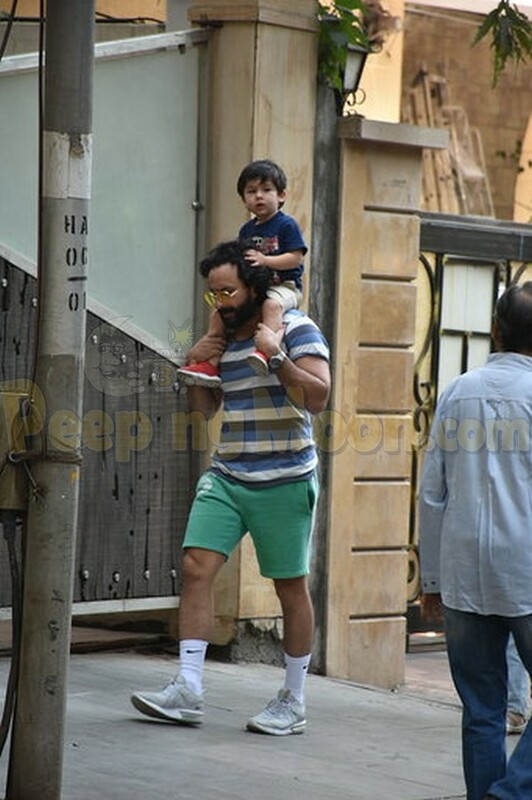 Comfortably seated on his father’s shoulder, Taimur looked cute as a button in a blue tee. 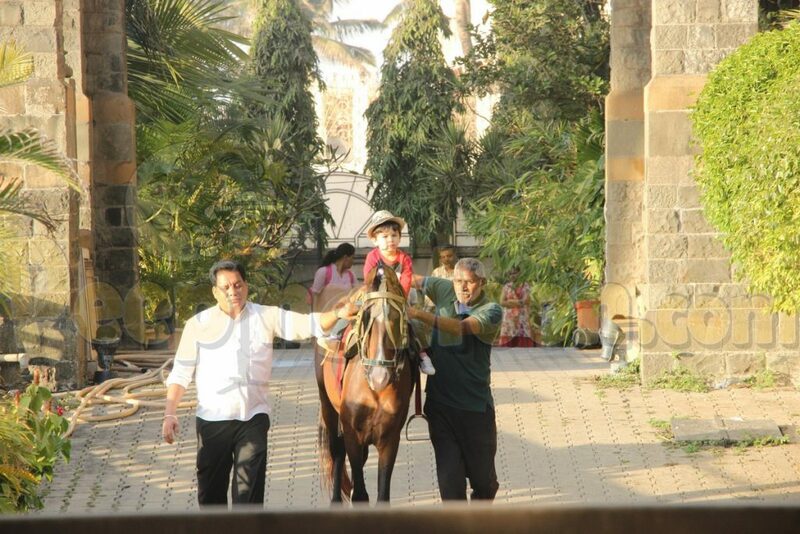 For his favorite outdoor horse ride activity last eve, Tim wore a red tee and donned a hat. 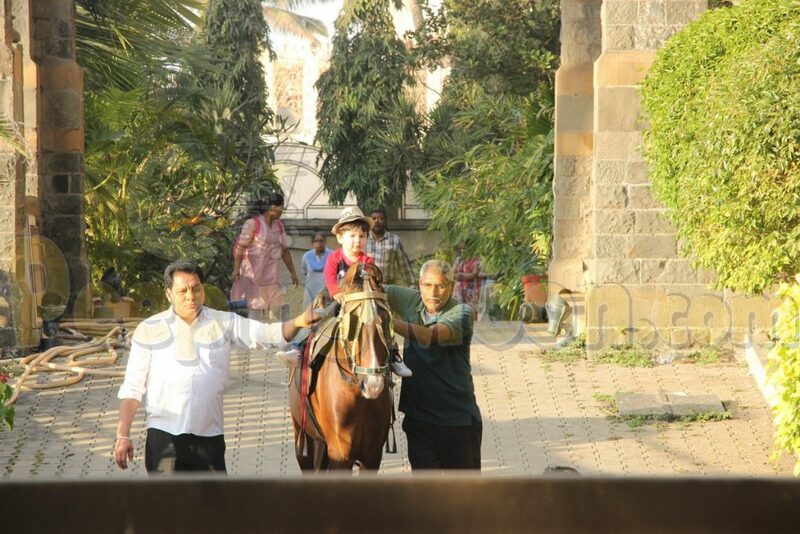 In between, Taimur is taking his horse riding sessions quite seriously. 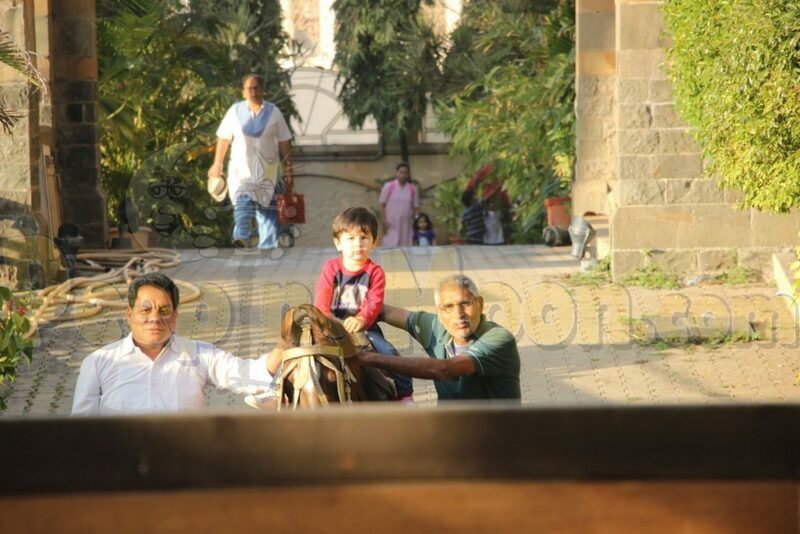 Royal genes it is.